After a day outdoors filled with hiking or kayaking, one of the winery tours in Door County is the perfect way to spend another day. With several wineries in Door County, it’s a great thing to do during your stay at Ephraim Shores Resort. To experience multiple wineries in one day and make the most of your time, going on one of the Door County Trolley tours may be the best option. 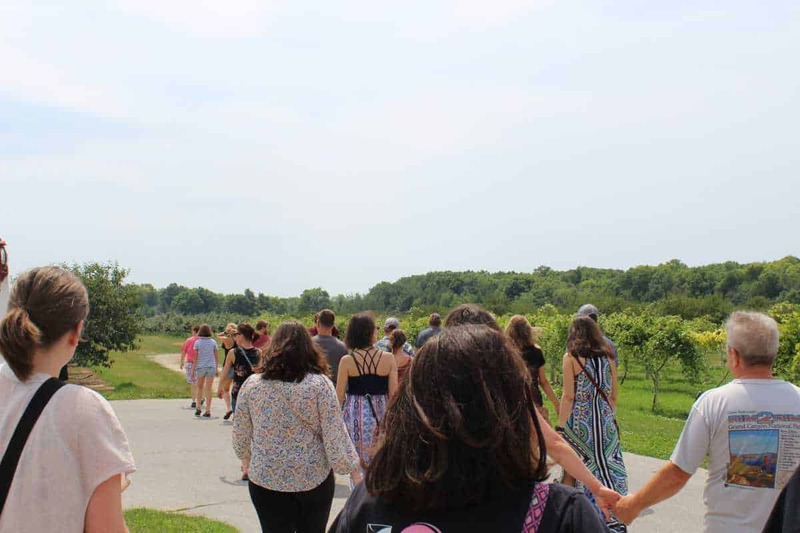 With many different winery tours in Door County you’ll learn how each winery takes a few simple ingredients to create the drink Door County is known for. If you aren’t sure what type of wine you like, there are tastings offered. Each location has a knowledgeable and friendly staff ready to help you find new favorites. Taking winery tours in Door County or some time to wander the vineyards may be just what you need. Most wineries also include samples, food and souvenirs to remind you of your perfect visit. If you want to bring the whole family most wineries have options for kids as well. All winery tours in Door County are not the same. From Stone’s Throw Winery’s bocce ball area to Lautenbach’s Orchard Country Winery’s spacious yards and annual festivals, each is unique. Door Peninsula Winery includes tastings at their distillery as well as the the winery. Stay at Ephraim Shores the weekend of Sept 22 to enjoy the Fall Harvest Fest; an annual festival at Lautenbach’s for people of all ages. Along with complimentary wine for adults, kids can go on the inflatable bouncer, enjoy pumpkin bowling or pick their own apples. There will be food tastings and wagon rides for everyone who attends. No matter if you are staying at Ephraim Shores in spring, summer, or fall, you will find that winery tours in Door County are a must.